Congratulations to Dr. Morris Bullock, director of the Center for Molecular Electrocatalysis, a DOE Energy Frontier Research Center led by PNNL, on being selected as a Fellow in the Royal Society of Chemistry, the largest organization in Europe for advancing the chemical sciences. 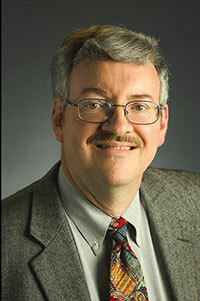 Bullock was recognized for his "significant contributions to the chemical sciences" and for winning the Society's 2013 Homogeneous Catalysis award earlier this year. The Society is supported by a worldwide network of members and an international publishing business. Their activities include education, conferences, science policy and the promotion of chemistry to the public. In addition to his internationally recognized research efforts, Bullock is also focused on developing a comprehensive understanding of how chemical and electrical energy is stored and used for applications in the development of non-fossil fuel sources. He joined PNNL as a Laboratory Fellow in 2006 and has authored more than 110 scientific publications.